Got a question? A difficult case? An observation you’d like to share? CHS members can join our Headache Forum and benefit from expert advice from CHS members on headache topics. 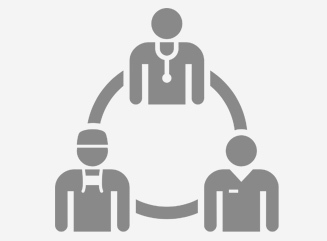 The CHS Headache Forum is a platform for collegial discussion, not official consults. The best way to use the Forum is to focus your question and synthetize your case as well as possible. If you are not yet a member, click here to subscribe to CHS (membership fees apply). 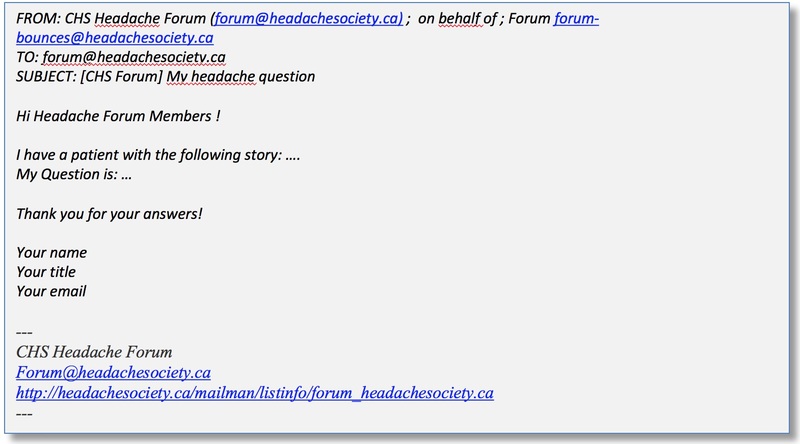 If you are already registered and you want to send a question, write to forum@headachesociety.ca (if you email this address without being registered the email will not make it through). If you want to unsubscribe from the Headache Forum please send us a request by clicking here. Download the Headache Forum User Guide !